Your party will appreciate the sun-drenched terraces and elegant décor…and the views over the lake and village are spectacular. Whether for a family get-together, business event or just a quick getaway for you and a select group of friends, the Ben Lomond Penthouse is the ideal base for your Queenstown adventures. Professional-style marble-tiled kitchen with all appliances. During the day you can enjoy the wonderful views from the balcony and dine al fresco overlooking Lake Wakatipu and the Southern Alps. After the sun goes down, you can melt into a wonderfully relaxing spa bath on the terrace. And you’ll stay snug and warm with underfloor heating and a gas fireplace. For your guests, the Ben Lomond’s fully equipped professional-style kitchen makes meal, finger food and midnight snack preparation a breeze while the multi-media centre (wi-fi, iPod dock, Sky TV) provides quality audio/visual facilities to give just the right atmosphere for business or pleasure. 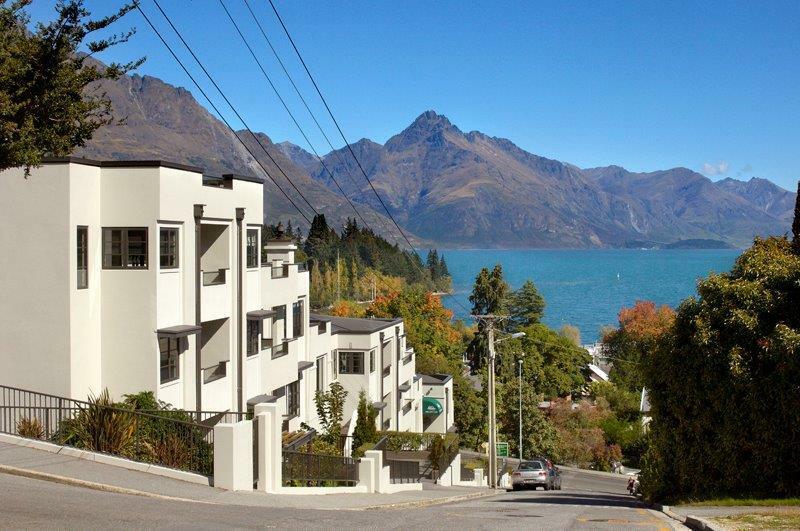 Located just a few steps from Queenstown’s entertainment district, you can step out in style. And every morning you will wake up refreshed after a luxuriously deep sleep in our peaceful bedrooms. Full in-room laundry facilities, including an iron and ironing board, ensure that you’ll look your best as well.